Email marketing posts show you how to build your email list, and starting email marketing campaigns without your own list. There are details on some common errors, what you can do to avoid them, and how to fix mistakes you’ve already made. There are also posts on how to measure your email marketing results, and what metrics really matter. You may think the list size is the most important thing (but it isn’t). Getting a high rate of unsubscribes, bounces, and spam reports? Find out what to do about it. Find out what your response rate should be and how yours compares to your industry counterparts. Plus, posts on easy ways to improve your email design to improve readability and increase your click through rates (a metric that does matter). There are also posts with tips on how to write subject lines that sell. Since the subject line is the first thing your readers will see, it’s important to get that right! Have you made these common email newsletter mistakes? Here’s how it usually works. A commercial photographer commented on Bob Bly’s blog last week complaining that email marketing has been destroyed by spammers. That anyone who signed up for one would invariably get spammed. Another reader said she’d signed up for an email newsletter with the offer of a free consultation, but the sender never followed up. They’ve both been the victims of poor email marketing. The problem isn’t really the email newsletter itself (that’s just the tool). It’s the way people are using (or abusing) it. It’s like trying to break an egg with a hammer. It will work, sort of, but it will make a horrible mess. If you email without permission, build your newsletter the wrong way, or abuse the permission you received, your readers will opt out, ignore your emails, or even report you as a spammer. However, if you create a real relationship and they trust you, they will be eager to know what you have to say. Say, for example, our photographer saw a newsletter from a digital photography software company. Instead of selling software directly, it had tips on how to use the software, where to get the best prices on equipment, and how to earn more money with fewer clients? What if that newsletter also offered regular, free, useful advice, without being annoying? Or, what if subscribing got him access to exclusive ebooks or discounts? How about if he got those things before they were released to the general public? The problem with the free consultation offer wasn’t the offer itself, it’s that it was never followed up. That’s not a good way to earn trust, and it also seems odd. Why go through the trouble of making a promise you have no intention of keeping? That won’t earn you trust, and it won’t get you new clients either. That’s not a good way to run a marketing campaign, regardless of what medium was used to deliver it. 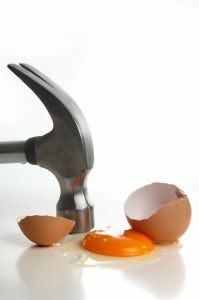 If you want to break an egg, skip the hammer. Crack it against a cutting board instead. It’s more effective, and a lot less messy. Is your email marketing doing more harm than good? Email can be one of the most profitable marketing channels when it’s done correctly. Bad email marketing can hurt your reputation, and get you blacklisted as a spammer. Nearly every company has a mailing list. And uses it. But not every company uses it well. Are you one of them? 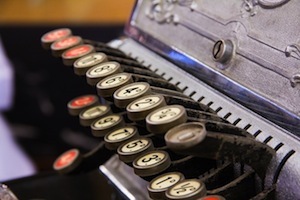 The first key component of successful email marketing is a good list. If you built your email marketing list the right way, it can be one of your company’s biggest marketing assets. Imagine, a large built-in audience of people who really want to hear from you, and trust you with their time and email addresses. Or, it can be a worthless compilation of names, the wrong audience, or people who don’t want to buy anything (and never will). A bunch of names you scraped from website email and contact pages. First of all, if it says “info@___” or “service@___” it’s likely to be a low-level person with no authority to buy from you. Secondly, they didn’t ask you to contact them with your offers. Those addresses are there to help their customers (or potential customers), not to field sales pitches. Don’t start your relationship off on the wrong foot! Names on business cards you’ve collected from networking events and speaking engagements. Conversations with real people are great. So is exchanging cards. Follow up when you get them. Do it a year later, and those people will think you’re spamming them (not helping them). It’s technically legal under CAN-SPAM to do either of these things. CAN-SPAM isn’t opt-in, it’s opt-out (more about CAN-SPAM rules here). It’s not a good idea though. Do it too often, and your ESP (email service provider, like MailChimp or AWeber) will think you’re a spammer too; and they may threaten to suspend your account. This applies especially if they were exceptionally cheap (such as $100 for 10,000 names), think services such as SalesGenie. None of those people asked to be on those lists. Use them, and you’ll get labelled a spammer. There are some email lists available for rent (one-time use), but they’re expensive ($300 for 1,000 names). If it looks too good to be true, it probably is. Sending out mass emails without any attempt at making a human connection with the people receiving them. At the very least, address them by name. Addressing the same email to everyone, rather than separating the names by past purchases, what stage they are in the buying process, or even what topics they’re interested in. Make sure you ask everyone for permission to continue to contact them. Offer something in return (a recording, a set of slides, or a white paper). Subscribers to your auto-responders. They’ve said they want to hear from you (repeatedly). All of this can be a lot to digest. If you want to have a quick conversation about this, email me here (no charge).Inboxes are crowded, and people are pressed for time. You want to build a relationship. Get them to know you, like you, and trust you. Once those people are on your list, nurture them (don’t spam them with offers for expensive products right away). You wouldn’t ask someone you just met to marry you, would you? I need advice on what email newsletter service to use. Mail Chimp and Constant Contact require me to have email addresses that already have opted in. This is my first newsletter so I don’t have this. I have a list of emails from all my business cards. How do I do this? If you’re starting your first newsletter, like Catherine, it can be a bit daunting. Most email providers want you to have opt-in names for your list, but you’ve got no list, and no permission, so how can you email? You do have a stack of business cards though. Is that OK? While CAN-SPAM technically requires opt-out, rather than opt-in, the top email service providers require that you get explicit permission first. It reduces their (and your) spam complaints and improves email deliverability. Plus, while it’s not legally necessary, it’s much more considerate and helpful to ask first (rather than just starting to shout at people). For clients, or prospects you’re already talking to, send a personal email (don’t do it en masse, and don’t let them see each other’s info), telling them you’re starting a newsletter. Ask them to opt-in to your email list. Include a few points about the types of topics you’ll be covering, how often you’ll be sending it, and how it will help them. If they are people you met recently, send a personal email saying it was nice to meet you at X, I enjoyed talking about Y, and including the opportunity for an email list opt-in (again with info about what they’ll receive). Include a link to opt-in to your newsletter. Then add an email list opt-in form to your blog or website, repeating the bullet points, and asking readers to sign up. Send the people you’ve contacted to that page. You can also encourage the opt-in by offering a special bonus to the first X number of people to sign-up. You’ve probably read that a lot. I know I’ve said it a lot. It means that the list you rent (or build) is the most important part of your marketing. A bad list means bad results (you’ll never make money trying to sell parrot food to cat owners). So, take care of your list, nourish it, and clean it regularly. Here are some tips on email list building and marketing. Start Your Email Newsletter Without an Opt-In List– what if you don’t have a list? or you’re just starting out? then what? How Big Should Your Mailing List Be? – how many people do you need? is bigger always better? Have you ever noticed that some emails get more sales than others? Sometimes you get high open rates, and lots of clicks. Other emails seem to fall flat. What’s the difference? Is there anything you can do to increase email conversion rates? Can you “train” people to buy more? Yes, you can. Well, not train exactly, but check, test, and measure what you’re sending the people on your list. Then adjust your marketing tactics accordingly. How good is your email list? The first thing to check is the quality of your list. Are you getting lots of bounces (undeliverable emails)? Check with your email service provider to see why. The best email providers have high deliverability rates. The more emails get through, the better your chances of getting a conversion (or a sale). Where did the names come from? Did you buy a list from somebody? Exchange lists? Is it a rented list? Or a list you built yourself? Your own subscribers should be more receptive to your offers, and the data should be “cleaner” (meaning fewer bad addresses, fewer bounces, and better deliverability). Run your messages through a spam checker before you send them. You probably know that certain words can trip filters, but so can too many images. People can’t respond to your email if they don’t get it. Is the email helpful to your audience? Is the email (and the offers in it) relevant to your subscribers? Are they still interested in what you have to say? If a large portion of your list is ignoring you, send everyone an email asking them to confirm that they still want to get your messages. Cutting your list can be scary, but a smaller, responsive list will earn more (and have a better ROI) than a larger, unfocused one. Subject lines are like headlines, they’ve got to grab attention. If they’re not interesting, they won’t get opened. The best way to find out is to test them against each other. The best subject lines will get more opens, more clicks, and more conversions (sales or opt-ins). How often do you send emails? Is it more (or less) often than promised? A barrage of email can turn people off (unless it’s extremely relevant). Sending fewer emails may get better results. 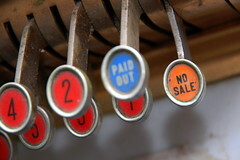 If it’s a sales email, the wording of the offer can change how people respond. Test different ways of saying the same thing. Do you get a better response to your deal of the day if it’s 50% off a $200 product? Or if it’s $100 less? The final cost is the same in both examples, but readers will respond to them differently. Spread the links you want readers to click on throughout the email. Some readers are ready to commit right away, but others will need more details and information before pushing the button. When you get the results back from your campaign, see which email link had the most clicks. I am a copywriter and marketing strategist who works with technology and SaaS companies who want to increase their conversions and retain more customers. Learn more here.